Buy a bag and support the library! Last Week! 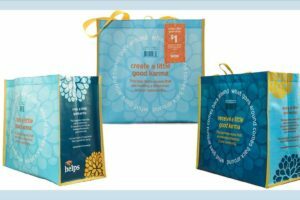 Pick up a blue @Hannaford Helps Reusable Bag at the 95 Spring Street Hannaford. We’ll receive $1 for every $2.29 blue Good Karma bag purchased in July. Help support APL and do your part for the planet – all in one purchase!